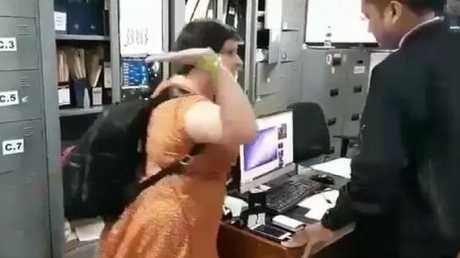 The video shows Taqaddas striking the immigration official in the face. As she continues to struggle, she shouts: "I am walking, there is no need for this! Come on!" She continues to yell at the camera. She unleashed on camera in extraordinary scenes. The woman was filmed arguing with the immigration official before slapping him. "This is a sham court who was only listening to the dirty prosecutor who did not bring me to the court for six months," she said. 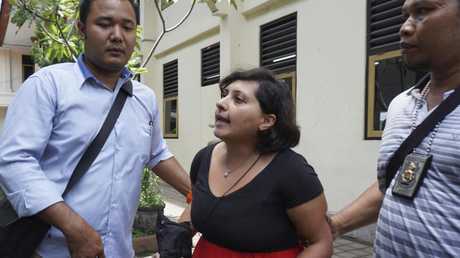 As two officials escorted her from court, she shouted: "Indonesia is a criminal country. Indonesian law is corrupt. Indonesian judges are corrupt. No lawyer was provided. Indonesian immigration is corrupt." 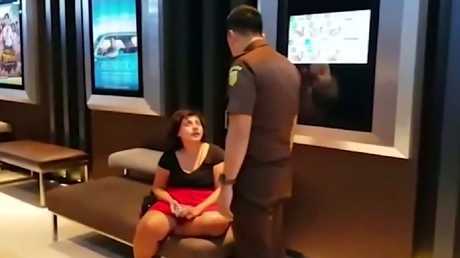 Immigration Chief Ngurah Rai Aris Amran said at the time of the incident: "She slapped the officer, who is a respected guard. "She pretended not to know that she had overstayed. "She touched immigration, which means touching representatives of the nation. So we reported it to the police." 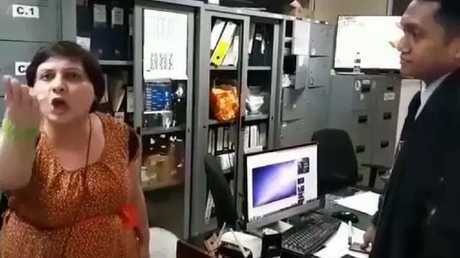 The original video shows how the fine sent Taqaddas into a rage and she was caught on camera branding immigration officer Ardyansyah, 28, a "f***ing ba****d''. The British tourist has accused Indonesia of being corrupt. In the video, Taqaddas is heard blaming "f***ing immigration'' for causing her to miss her flight and telling them to "take the f***ing money and get lost''. 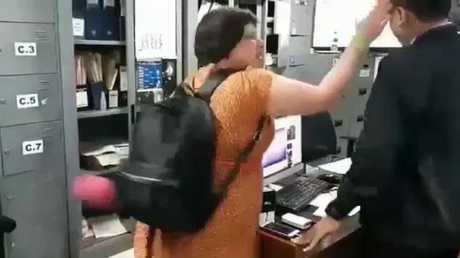 She continues: "I'm your f***ing mother'' and then slaps the guard. 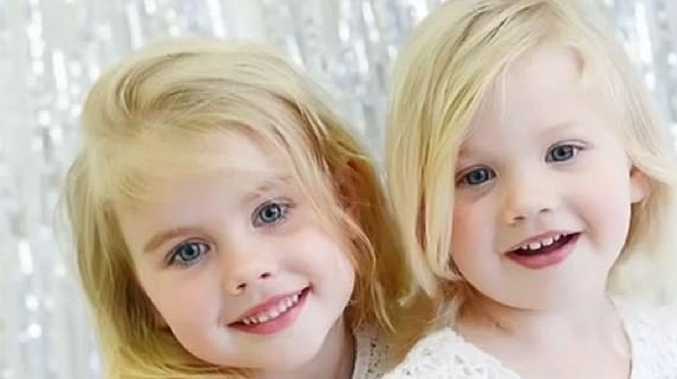 She has also accused police of “torturing” her. Taqaddas then says: "You aren't paying for this f***ing flight. You b*****ds told me to bring the money, why didn't you b*******s tell me anything else. 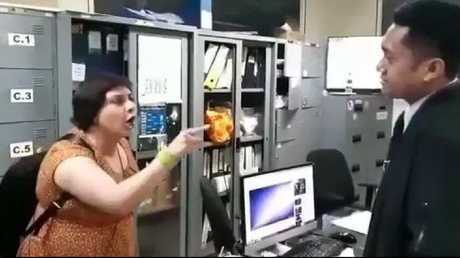 The guard says "this is my office", to which she replies "this is your office, well show your ugly face".